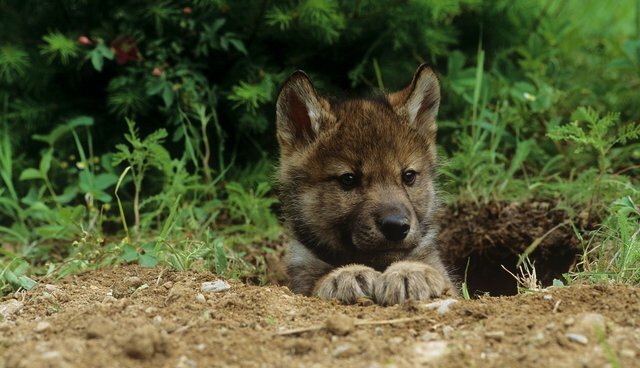 The United Tribes of Michigan (comprising 12 recognized Indian tribes in the northern part of the state) recently adopted a resolution opposing removal of federal protections for wolves and calling on people to recognize the historical and ecological significance of wolves. It's a message closely aligned with that of The HSUS, and we are glad to stand with these tribes and so many others who live with wolves and don't want to see them slaughtered for no good reason. In November, Michigan voters trounced two wolf hunting and trapping ballot measures, and explicitly decided not to cede control of hunting and trapping decisions to the Michigan Natural Resources Commission. Michigan and Wisconsin wildlife agencies have now officially appealed a December 2014 ruling by a U.S. District Court that restored federal protection for wolves. That's no surprise, since these state agencies prematurely conducted wolf-killing programs and provided a primary impetus for the court's action with their reckless actions. The killing programs in Minnesota and Wisconsin showed a special ruthlessness and cruelty. Among the hundreds of animals killed for sport this year alone, 60 percent of the animals were killed with the aid of steel-jawed leghold traps. Wisconsin earned the distinction of even allowing hound hunting of wolves – a circumstance that almost invariably led to an animal fighting situation between the wolves and the hunting dogs. While we believe the American public is decidedly against the sport killing of the small populations of wolves in the Great Lakes and the Northern Rockies, we have tried to offer a constructive solution that bridges the political and cultural divide on the issue. To that end, we recently petitioned the U.S. Fish and Wildlife Service to downlist wolves from endangered to threatened everywhere in the lower 48 states except the Southwest. This will maintain important federal protections for wolves, but it will give the federal government, and therefore the states, more latitude in conducting control programs, including lethal ones, for wolves causing a problem for ranchers or other private property owners. Unfortunately, several lawmakers, mainly from the wolf range states, want Congress to remove federal protections for wolves. They are seeking to nullify the judicial branch's careful examination of the unwarranted delisting actions of the U.S. Fish and Wildlife Service. In short, these lawmakers don't like the court ruling, so they are trying to overturn it. That's not the way our system should work, and it's a threat to every endangered species when Congress, for purely political reasons, takes this sort of heavy-handed approach. The judicial branch is co-equal, not subservient. We'll work with the Indian tribes, environmentalists, business owners, scientists, and others in opposing this overreaching action. If the November votes in Michigan are a good indicator of where the public is – and I believe they are – the public is not with these lawmakers and they won't want anything to do with their killing and cruelty. The United Tribes of Michigan speaks for so many of us when it declares that "we recognize the wolf has a great significance to our community and has an important place in our culture."